See more objects with the tag leisure, reading, leather, armchair. See more objects with the color black darkolivegreen or see all the colors for this object. 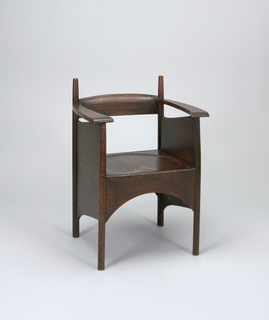 This is a Reading Chair. We acquired it in 1960. Its medium is turned and joined walnut, leather, brass, tin. It is a part of the Product Design and Decorative Arts department. Much like cricket fighting, cockfighting is a blood sport between two gamecocks held in a ring. 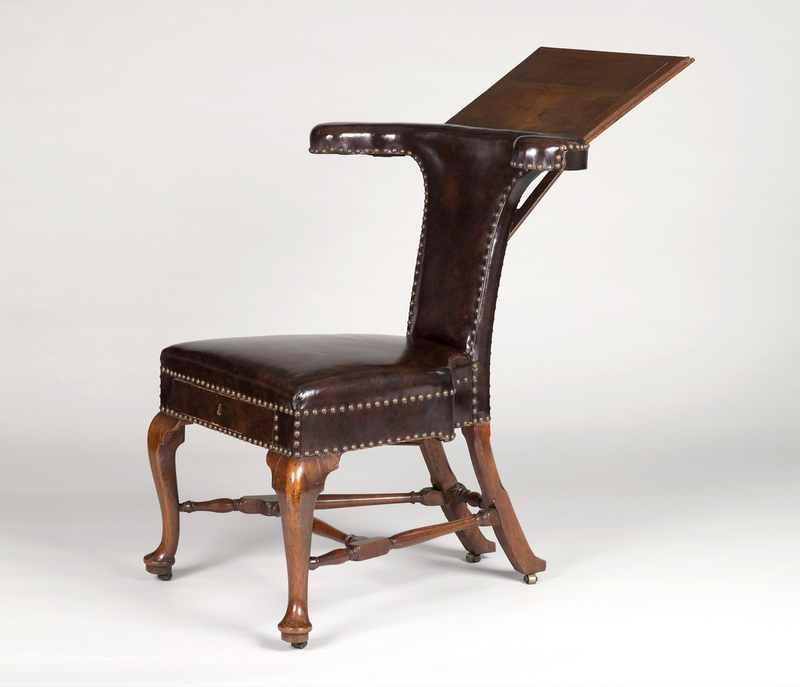 While this chair was intended as a specific piece of furniture dedicated to reading, it also became known as a cockfight chair, likely due to its capability for the user to safely sit with the padded back shielding them from the violence of the fight. 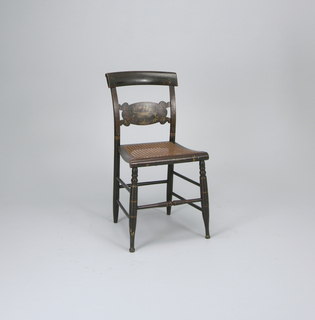 This object was featured in our Object of the Day series in a post titled Cockfight chair. This object was donated by Mrs. Paul Moore. Gift of David Byrne and Adelle Lutz. painted, stencilled and gilded maple wood, caning.